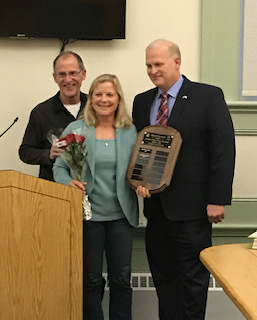 ASHLAND – The Ashland Board of Health awarded the 2nd Annual Mary Mortensen Public Health Award to Ashland resident Janet Gamache on Tuesday night. Gamache is a 21-year resident of Ashland, and a 15-year member and volunteer for the Green Up Ashland Committee. Gamache, together with her loyal service dog, Lydia, has made hundreds of visits to area nursing homes, schools and libraries, forming relationships with residents of all ages. Through her many years of public service and dedication to the wellness and beautification of the community, she exemplifies how the act of volunteerism can make a difference in a community, said Ashland Board of Health Chair Jon Fetherston. 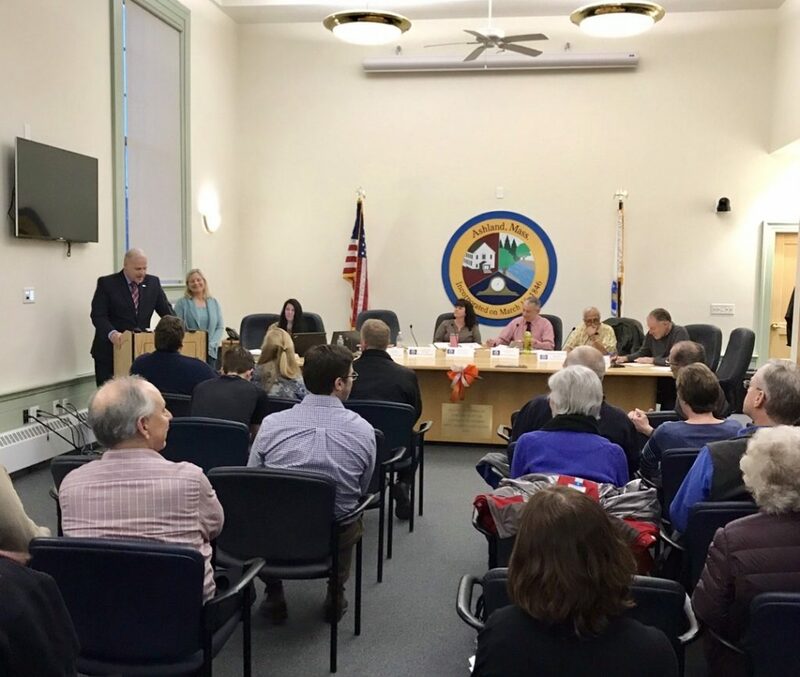 The Ashland Board of Health, in honor of its long-time member Mary “Penny” Mortensen, established the annual award in her name.